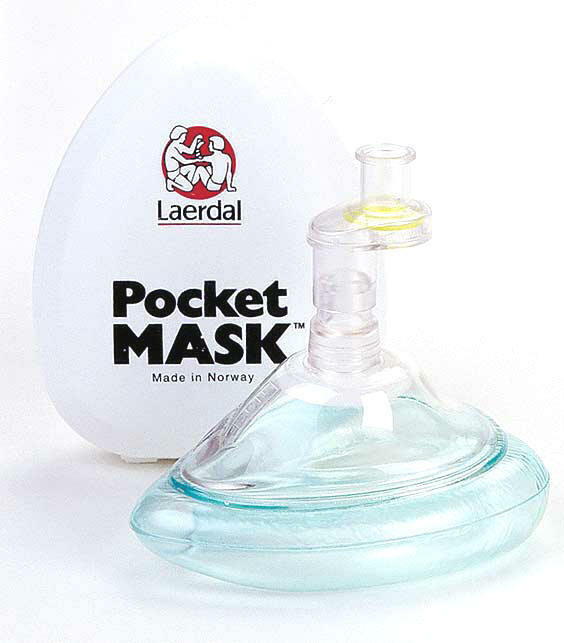 The Laerdal Pocket Mask provides protection during CPR. 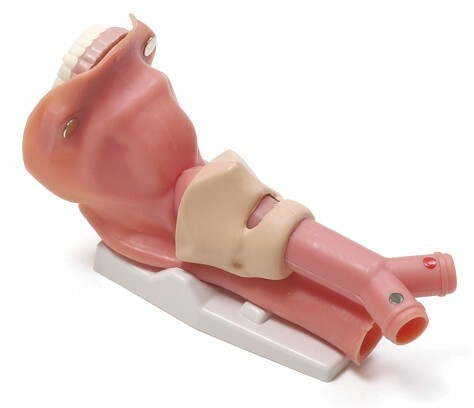 By creating a slight distance between the patient and provider the Pocket Mask also makes seeing patient lip colour and chest movement easier. With the high-quality 3M Filtrate hydrophobic filter placed below the one way valve, providers and patients are protected. 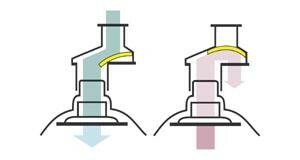 All of the air being transferred between the provider and the patient is filtered before it is dispersed. 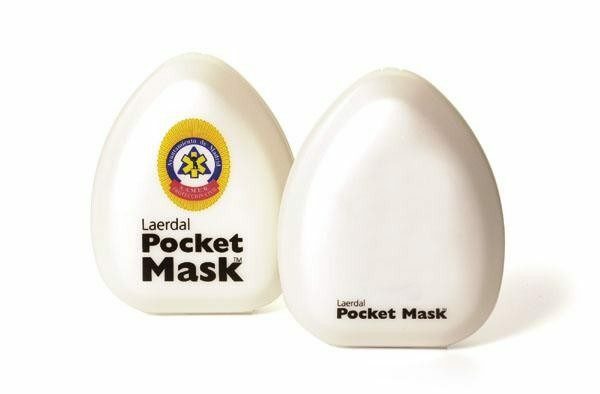 The filter placement and one way valve make the Pocket Mask a quality choice! Storage temperature: -40° to 50°C. Mask, Filter & One-way valve: 5.2 cm H2O. 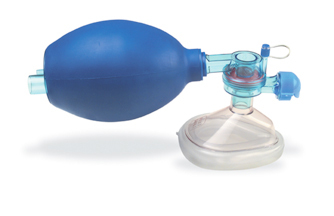 Mask, Filter & One-way valve: 4.7 cm H2O. Mask can be cleaned and reused. 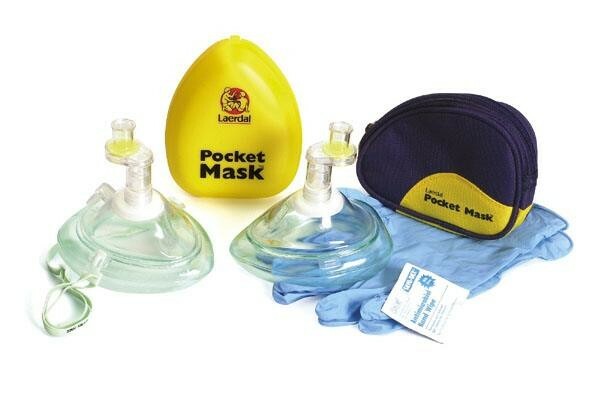 Pocket Mask w/ Oxygen Inlet & Head strap in Soft Pack. 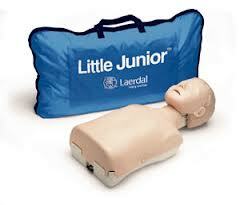 Head Strap Adjustable (Single Unit).